Research in Action is a weekly podcast by Oregon State University Ecampus, a national leader in online education. The podcast is hosted by Dr. Katie Linder, OSU Ecampus research director, who discusses topics and issues related to research in higher education with experts across a range of disciplines and institutions. Guests share their expertise on qualitative, quantitative and mixed methods, personal experiences as researchers, best practices, and organizational and productivity strategies. Listen and learn how you can make a difference through your research. ecampus.oregonstate.edu/podcast. Segment 1: Research lessons from past guests [00:00-16:10] In this first segment, Katie talks with past guests about the research lessons they have learned in the past year. In this segment, the following resources are mentioned: RIA # 99: Dr. Jesse Stommel on Founding a Journal RIA # 104: Dr. Deborah Loewenberg Ball on Effective Teacher Education RIA # 115: Dr. Avi Kaplan on Methodological Diversity RIA # 117: Dr. Bastian Minkenberg on Genome Editing Segment 2: More research lessons from past guests [16:11-32:38] In segment two, Katie talks with more past guests about the research lessons they have learned in the past year. In this segment, the following resources are mentioned: RIA # 133: Dr. Mary Ellen Dello Stritto and Dr. M. Brooke Robertshaw on Effect Sizes RIA # 138: Dr. Heather Corwin on Embodied Research RIA # 141: Dr. Gail Crimmins on Arts-informed Research RIA # 144: Dr. Kay Shattuck on Being a Research Director To share feedback about this podcast episode, ask questions that could be featured in a future episode, or to share research-related resources, contact the “Research in Action” podcast: Twitter: @RIA_podcast or #RIA_podcast Email: [email protected] Voicemail: 541-737-1111 If you listen to the podcast via iTunes, please consider leaving us a review. The views expressed by guests on the Research in Action podcast do not necessarily represent the views of Oregon State University Ecampus or Oregon State University. 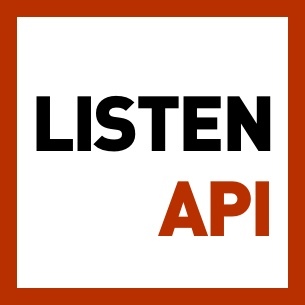 Search past episodes of Research in Action | A podcast for faculty & higher education professionals on research design, methods, productivity & more.